Aging machines lead to increasing maintenance cost, unpredictable breakdowns and hence, a drop in performance. 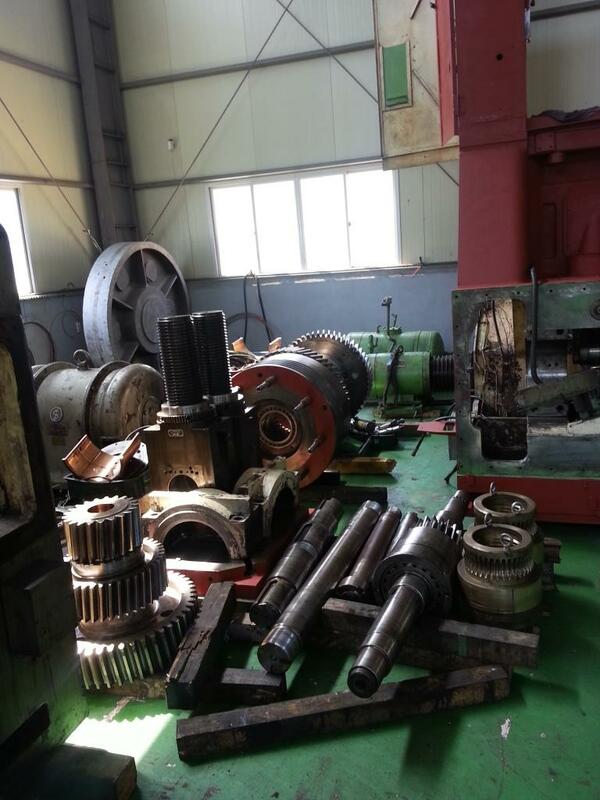 Instead of buying a new machine, reconditioning the old one provides almost original performance, is much faster and cost effective, and existing manpower can be utilized. 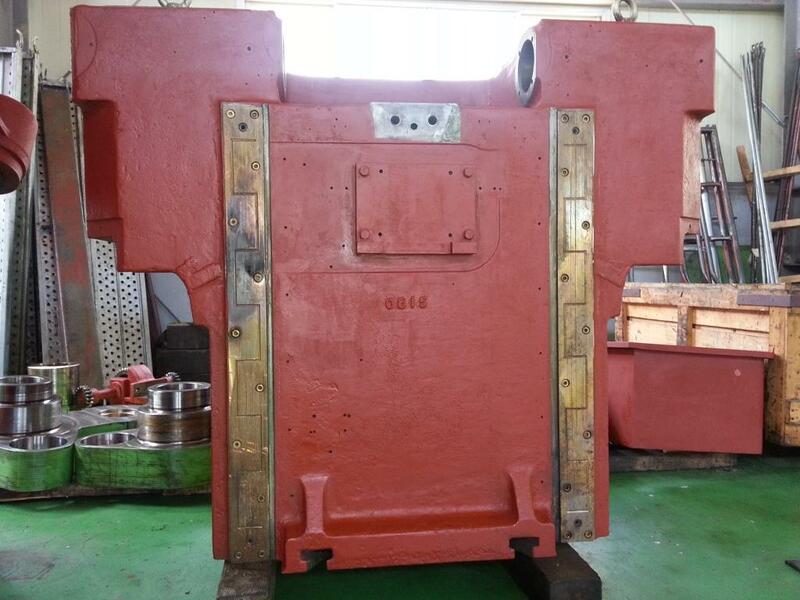 We are capable of handling jobs such reconditioning of presses such as stamping, forging, transfer presses, blanking lines etc both mechanically and electrically. Complete strip down of the machine with a thorough inspection and replacement, if required, of all worn-out and failed parts with genuine parts. 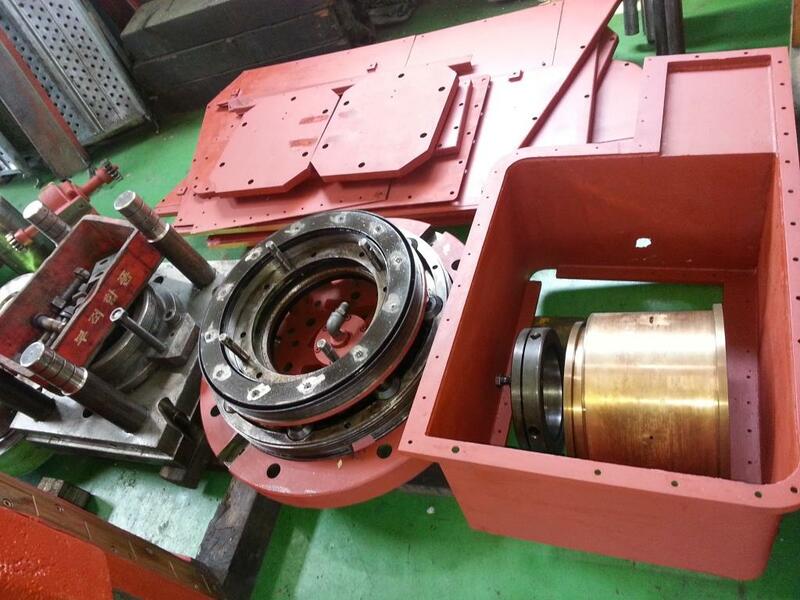 Machining, grinding, scraping of guides, tables and bearing bushes. Rewiring of the entire electrical control. Replacement of old lubrication system with a central, motorized, automatic, metered lubrication system with an electronic controller. 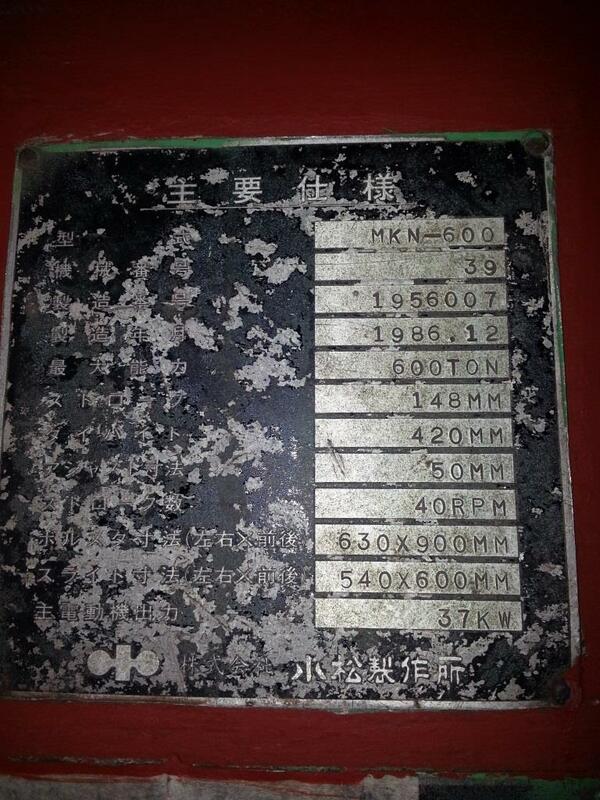 Realignment of the machine to ensure the original accuracy. Final inspection, trials & painting of the machine. Inspection by customer & customer trials. 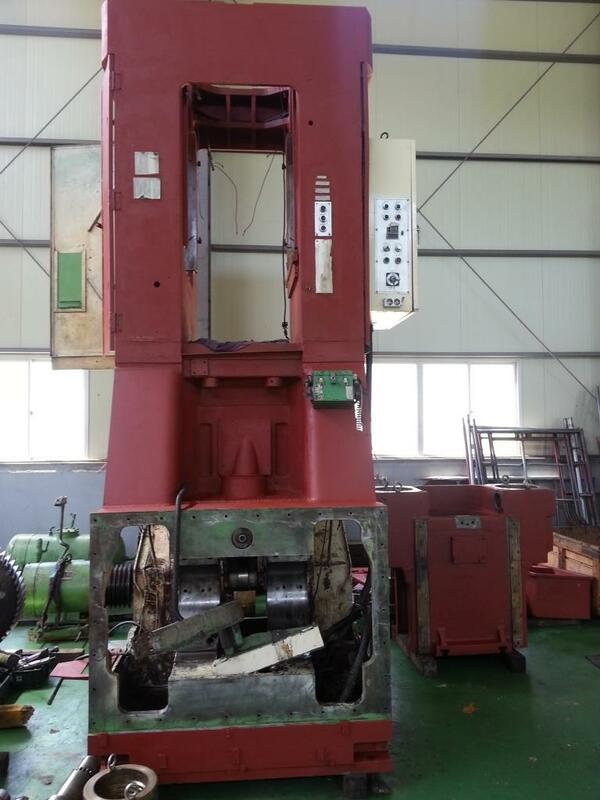 Komatsu MKN800 Knuckle Joint Press is reconditioned at Korea.